Become a part of COVE - Centre for Ocean Ventures and Entrepreneurship, Halifax, Nova Scotia, Canada. 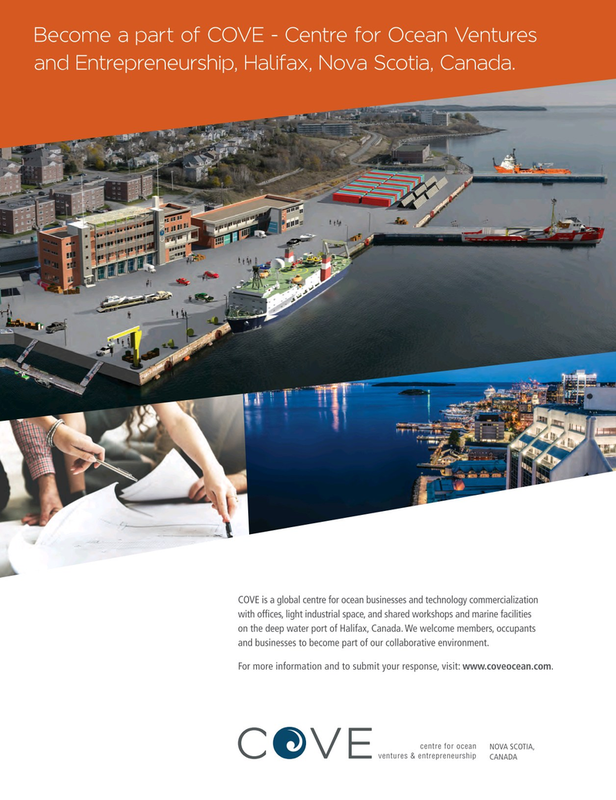 COVE is a global centre for ocean businesses and technology commercialization with of?ces, light industrial space, and shared workshops and marine facilities on the deep water port of Halifax, Canada. We welcome members, occupants and businesses to become part of our collaborative environment. For more information and to submit your response, visit: www.coveocean.com.